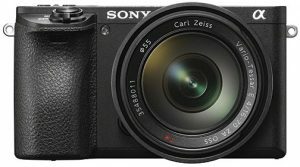 San Diego, CA—Sony Electronics’ new flagship APS-C-sensor camera, the α6500, uses the same 4D Focus system as the α6300. The system can lock focus on a subject in 0.05 second. It also boasts an APS-C-size 24.2 megapixel Exmor CMOS sensor that works with a Bionz X processor and a newly developed front-end LSI. The combination is designed to maximize processing power and achieve a sensitivity range of ISO 100–51,200. The camera also features a 2.4-million-dot XGA OLED Tru-Finder electronic viewfinder. 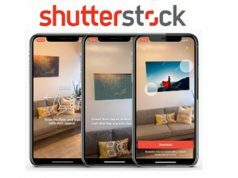 “We are continuing to push the boundaries of modern innovation in digital imaging, in particular within the mirrorless space,” said Neal Manowitz, vice president of Digital Imaging at Sony Electronics. 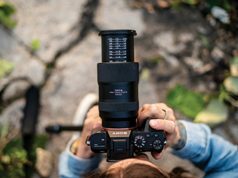 “By equipping the α6500 with 5-axis image stabilization and touch-screen AF, we’re offering photographers and videographers more control than ever before and a seemingly endless amount of creative possibilities. Also shared with the α6300 is an autofocus system with 425 phase-detection AF points. The AF points are densely positioned over nearly the entire image area. 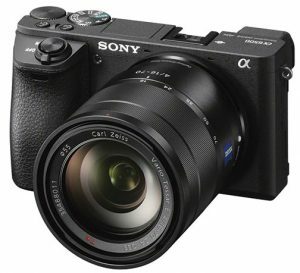 Sony claims it is currently “the world’s highest number of AF points on any interchangeable-lens camera.” The hybrid AF system also works with accurate contrast-detection AF. The mirrorless model can shoot at 11 frames per second (fps) with continuous autofocus and exposure tracking. It can also shoot at 8 fps in a live-view mode. This makes it easier to track fast-moving subjects, because it combines the benefits of an electronic viewfinder with the immediacy of an optical viewfinder. In addition, new for the α6500 is faster internal processing capabilities enabled by its front-end LSI. The result is an expanded maximum buffer to support high-speed continuous shooting at 307 frames. Furthermore, the camera employs Sony’s in-camera 5-axis optical image stabilization (OIS). This makes it the first Sony APS-C camera to offer the advantages of in-body stabilization, like a 5-step shutter speed advantage. The shake compensation provided by this system works with various lenses: E-mount lenses without OSS (Optical SteadyShot) stabilization and A-mount lenses when used with a compatible mount adapter. When an E-mount lens with OSS is mounted, pitch and yaw are compensated in the lens, while horizontal, vertical and roll axes are compensated in the camera body. Also, with a half press of the shutter button, the effect of image stabilization can be monitored in the viewfinder or on the LCD screen. This allows framing and focus to be continually monitored. The camera also offers touch-screen AF capabilities for focus point selection and adjustment. Users can lock focus on a subject by touching it on the screen. Additionally, another first for Sony cameras, the α6500 provides touchpad functionality. When utilizing the viewfinder for framing and shooting, the LCD can be used as a touch pad. Shooters can drag a finger across the screen to shift the focus point from one area to another. Also, thanks to its hybrid AF system, during video recording the camera offers touch focusing for smooth focus shifts plus adjustable AF transition speed and AF tracking sensitivity. It also supports the XAVC S codec; it records at a bit rate of up to 100 Mbps during 4K recording and 50 Mbps during Full HD shooting. The α6500 also records Full HD at 120 fps at up to 100 Mbps. This function is designed to allow footage to be edited into 4x or 5x slow motion video files. The files are in Full HD (24p) with AF tracking. A new video feature is “slow and quick” (S&Q) mode, which supports slow motion as well as quick motion. Frame rates from 1–120 fps can be selected in 8 steps for up to 60x quick motion and 5x slow motion recording. The camera additionally offers S-Log gamma recording for wide dynamic range shooting. This produces a 14-stop latitude in S-Log3 gamma setting. It also supports S-Gamut for a wider color space. In addition, shooters have the ability to select, extract and save still images from movie footage on-camera. Approximately 8MP images and 2MP images can be pulled from 4K modes and Full HD modes, respectively. Other camera features include: a magnesium alloy body; a 200,000-cycle-rated shutter; a recessed grip to improve handling; a larger release button; 10 custom buttons; and a new user interface designed to make searching/adjusting menu settings easier. There are also two new metering modes: highlight, where exposure metering is focused on the brightest area of the frame; and entire screen avg, which maintains an average metering for the entire image. The camera is Wi-Fi, QR and NFC compatible. It also and works with Sony’s PlayMemories Mobile apps (Android and iOS) as well as PlayMemories Camera apps. It also offers location data acquisition via a Bluetooth connection to a mobile device.